On average I spent somewhere between $25 to $26 US Dollars on a daily basis. You could easily lower that average if you know how to ride a motorcycle or don't go on as many day tours as I did. Most of my expenditures went to entertainment (day trips) and the food. Thailand is one of the best places to eat in, not only is the food cheap, but it is delicious and good value. During my month long trip around Thailand, may favorite region is the north. I see a lot of beaches and all of the advantages of living in a tropical country back home in the Philippines, so I appreciated the culture in the north more. I wanted to stay in the north longer but I felt that it was time to move on and head to Cambodia. 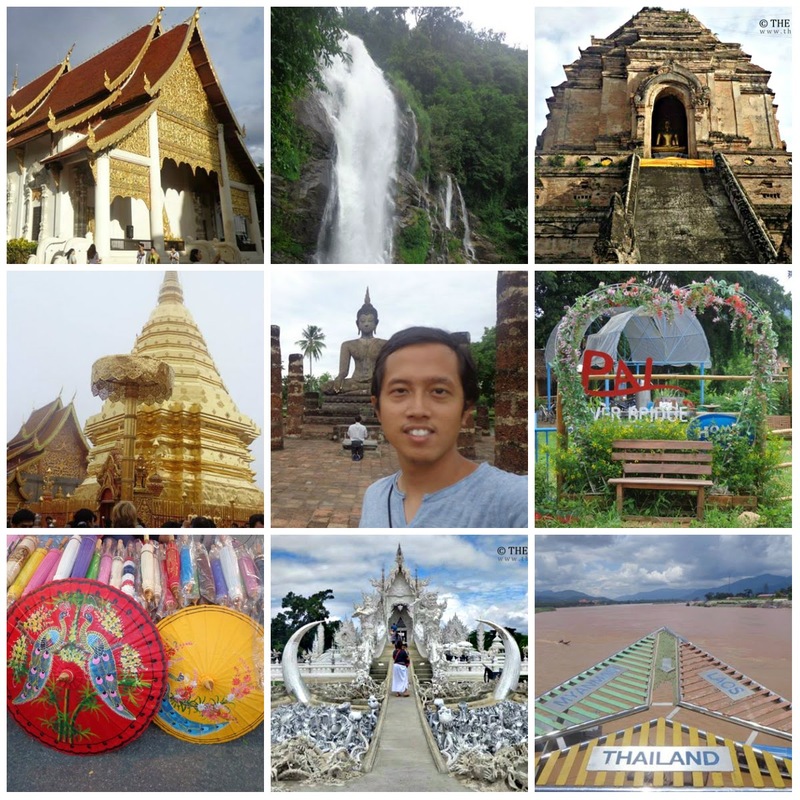 I traveled from Krabi (Southern Thailand) to Chiang Rai (Northern Thailand) from June 23, 2014 to July 20, 2014. It was the first time I got to travel from south to north in a country. I followed the usual tourist trail, I would've loved to visit the off-the-beaten places but I wanted to visit the most popular places first (others would beg to differ). If I had another chance to travel Thailand for a long time, I would have loved to go off the tourist trail. Thailand has a lot of similarities with my home country from the skin color to the look to the beautiful beaches to the friendliness (the obvious), to the same kind of corruption, red tape, double standards that are prevalent back home (the subtle). I was always spoken to in Thai till I started to speak or tell them I was from another country. I also found out that their king visited every single province to find out what the people needed and how he can help his people get out of poverty during Thailand's tumultuous and poverty-stricken years. Their King and the royal family are held in such reverence that you can see their portraits in every home and business across the country. I wonder when the Philippines' government officials would do the same for their countrymen? Nothing's perfect, but at the very least Thailand is heading in the right direction. Thailand combines the sleazy, the adventurous, the beautiful, and the bad all mixed into one country that makes people keep coming back for more. *You can go to my Southern Thailand budget guide (here) to find out how much I spent throughout my entire trip around Thailand.